Please mark your calendars and attend the upcoming Hispanic Heritage Bowl on Saturday, October 27 at Lancaster High School from 8 a.m. to 2 p.m. Enjoy the student academic competition, dance performances, art contest, food and a vendor expo. 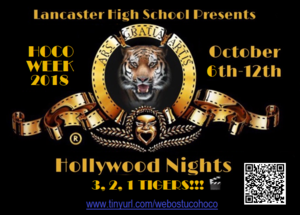 Enjoy the tradition of the Lancaster High School Tigers at the Lancaster I.S.D. LHS Homecoming Parade, Community Pep Rally and Bonfire events. This year, the parade will start at the Town Square at 5:00 p.m. and continue to the stadium! The community pep rally will begin immediately after parade at the Beverly D. Humphrey Tiger Stadium. Enjoy food, performances and games. Also, see the Sweethearts and Beaus ceremony. The bonfire will start at the conclusion of the pep rally behind the indoor facility. This is not just another concert! It is an event created by the YNOT Scholastic Foundation in Partnership with Lancaster ISD to aid the purchase of laptops for 10 qualifying seniors and a car for one LHS class of 2019 Graduate. You can purchase tickets online or at any Lancaster ISD campus. The month of September brought some great opportunities for classroom engagement and to connect with our community of parents, families and friends. Additionally, we marked College Go Get It Week and celebrated Grandparents Day. Some of you may have spent a little time on our campuses with your child for Muffins with Moms and Donuts with Dad! Enjoy a night out with the family and celebrate National Attendance Month at IHOP located at 790 I-35E in Lancaster on September 25 from 5:00 p.m. to 8:30 p.m. Prizes will be given away and a percentage of the meal proceeds will be given to Lancaster ISD. Just ahead of the start of the major construction, Lancaster ISD is hosting a brief groundbreaking program to officially mark the beginning of the new middle school for Lancaster ISD students. The 9th Annual College Go Get It Week for the Lancaster Independent School District will be September 17-21, 2018. 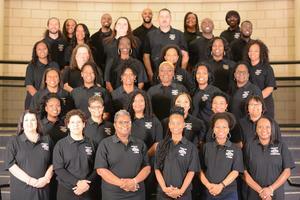 While each campus in the district is responsible for developing its own daily schedule of activities, the week will be devoted to giving all students the opportunity to learn about post-secondary educational opportunities including colleges and universities, military opportunities, and careers in technical education. Information will be disseminated to encourage and motivate students to dream big dreams with the understanding that they can become anything they desire if they work hard with intentional planning for their own success.